A homegoing celebration for Mrs. Evelyn Daniels of Tampa, Florida who passed away on Wednesday, November 28, 2018 will be held Saturday, December 8th, 11:00 a.m. at Bible Based Fellowship of Temple Terrace, 8718 N. 46th St., Pastor Earl Mason, officiating. The interment will be held in Myrtle Hill Memorial Park. Evelyn was born August 19, 1931. She attended Bible Based Fellowship Church of Temple Terrace. Evelyn loved reading the bible, encouraging others and watching movies. She was preceded in death by her parents, Oscar and Josephine Daniels; brothers, Oscar Daniels, Jr.; Lawrence Daniels and James Daniels; sister, Erma Lee Daniels. 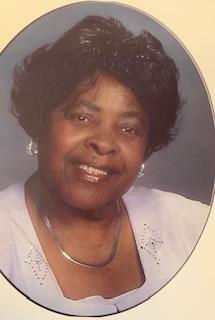 She leaves to cherish her precious memories with her daughter, Linda Adejumo and son-in-law, Michael Adejumo; grandchildren, Vincent E. Adejumo and Michael V. Adejumo; sisters, Bertha Daniels, Daisy Tolbert and Gladys Daniels Goodman; a host of nieces, nephews and other relatives that will miss her. The visitation will be held at Bible Based Fellowship of Temple Terrace on Friday, December 7th from 5:00 to 7:00 p.m. The family will receive friends from 5:00 to 6:00 p.m. The family and friends are asked to meet at the church on Saturday for the service.